The Department of Economic Cybernetics and International Economic Relations operates in CHITE KNUTE from 2014. It was formed as a result of the merging of the Departments of economic cybernetics and information systems and the Department of higher mathematics, engineering and technical disciplines. At different times, the Department of Economic Cybernetics and Information Systems was headed by P. Babi, I. Grygoryshyn, Yu. Koroliuk, Ya. Barasiuk. In turn, the Department of higher mathematics, engineering and technical disciplines was headed by Ya. Drin, V. Deibuk, A. Semchuk, V. Burachek. Today the Department is headed by the Doctor of Economics, Professor Vasyl Luchyk. The main activity of V. Luck is the simulation of complex regional systems, forecasting and programming of possible scenarios for the development of regional economies and the national economy as a whole. Vasyl Lucyk has published more than 100 scientific and methodological works, among them is a manual with a stamp of the Ministry of Education and Science of Ukraine, a single and collective monograph. 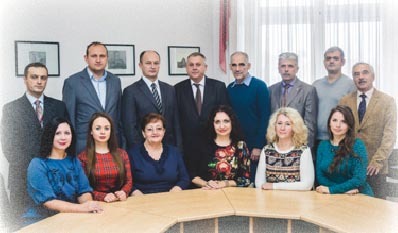 During the period of their work, the lecturers of the department have achieved significant professional results in teaching, methodological and scientific work, have established cooperation with many Ukrainian and foreign departments, scientific institutions, local self-government bodies and enterprises of Chernivtsi city. The Department of Economic Cybernetics and International Economic Relations is the graduate department and trains specialists for Bachelor and Master Degrees such sphere as "Economic Cybernetics", who have already proved themselves as qualified specialists in IT sphere as experts in the field of economics and mathematical modeling, forecasting and decision making under conditions of risk and uncertainty. 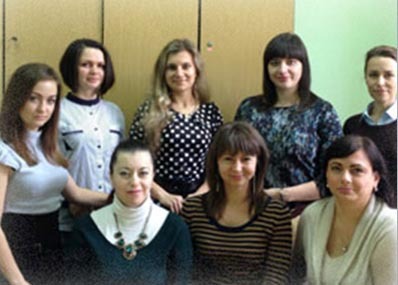 The training of specialists at the department began in 2001. In addition, the department provides an educational process on computer disciplines in all areas of training and forms of education. Currently, educational process at the department is conducted by specialists: Professors, Doctors of Sciences V. Luchyk, Yu. Koroliuk; Candidates of Sciences, Associate Professors: O. Babinska, V. Burachek, O. Verstiak, T. Vlasova, O. Halochkina, O. Gimchynskyi, I. Gotenchan, I. Drin, S. Kosiachenko; Senior Lecturers: O. Burdiak, L. Rusnak, Yu. Ursakii, S. Perten and Assistants: O. Siduniak, I. Kelaru. The qualifications of scientific and pedagogical staff correspond to the disciplines they teach. The main efforts of the scientists of the department are aimed at research and creation of information systems for enterprises of the region, mathematical modeling of economic processes and economic potential of the region, etc. The received experimental and fundamental scientific results were reflected in scientific publications, reports at international and all-Ukrainian scientific conferences. Lecturers of the department successfully manage students' scientific work participating in all-Ukrainian and international student scientific and practical conferences. Traditionally, the department holds meetings, round tables and workshops with potential employers with the participation of managers and leading specialists of Chernivtsi software developers, IT companies, research institutions, small and medium enterprises, banks, public administration bodies, where they discuss ways to improve educational process in the sphere of "Economic Cybernetics" referring their future professional activities. The Department cooperates with more than 50 enterprises, institutions and organizations based on the concluded agreements for organizing practical internship for students and facilitating their further employment.